Why are dividends so important? Many well-established companies don’t grow fast enough to compensate investors for the risk of owning the company’s stock. So they pay dividends as a “bonus” to lure investors in. In fact, most investors buy these companies just for the dividends. For this reason, the companies go to great lengths to pay them. 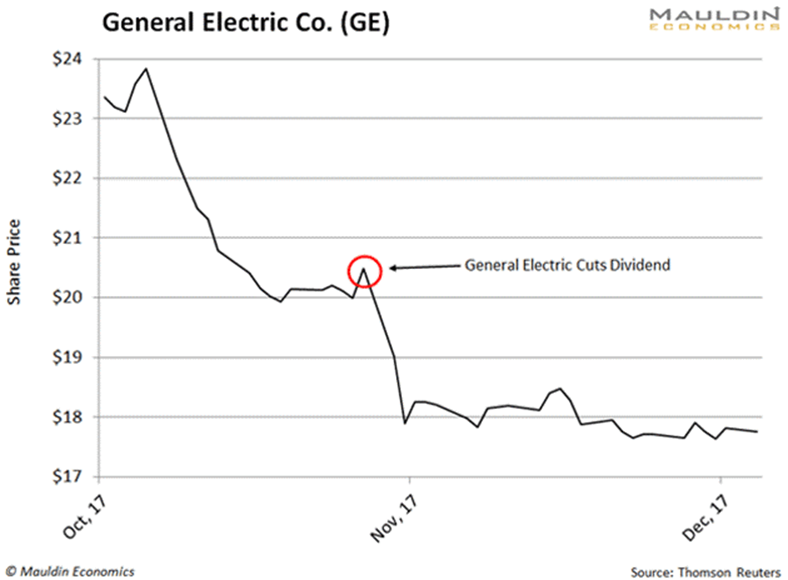 Some of these companies even borrow money and use the debt to pay a higher dividend. 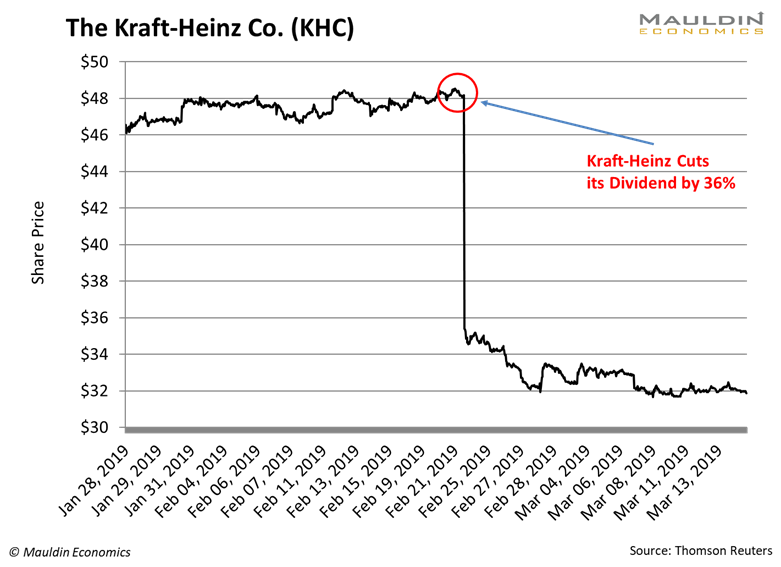 That’s exactly what Kraft Heinz was doing. And this strategy often ends up being a disaster for investors. Lucky for you, I developed a tool that helps gauge the safety of a company’s dividend. The payout ratio is the percentage of net income a firm pays to its shareholders as dividends. The lower the payout ratio, the safer the dividend payment. But you don’t have to worry about it anymore. The Dividend Sustainability Index (DSI) will keep you out of stocks like Kraft Heinz and GE.